Vocal coach and pianist Timothy Cheek is associate professor of performing arts/vocal arts. 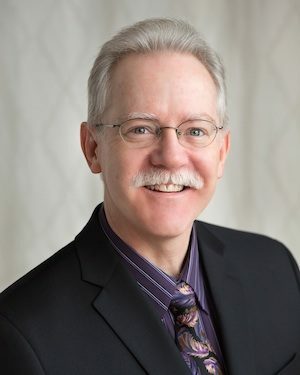 He joined the faculty of the University of Michigan School of Music, Theatre & Dance (SMTD) in 1994, and serves as music director of Opera Workshop, as an instructor of lyric diction classes, and as a coach for opera productions. From 2000-06, Cheek worked as a pianist/coach at U-M’s spring term vocal program in Sesto Fiorentino, Italy, serving the last two years as director of the program. He is also an associate faculty member of the University’s Center for Russian, East European, and Eurasian Studies (CREES), and teaches a Czech Vocal Literature course for singers and pianists. Cheek has performed recitals as a collaborative pianist in 18 countries on four continents and has been heard on radio and television programs around the world. He is on the faculty of the Moravian Master Class, a summer program in Náměšt’ nad Oslavou, near Brno, Czech Republic, dedicated to the study of Czech art song and opera roles. In 2007 and 2008, he was the music director of the Studio Giovani vocal program at the Opera Theatre and Music Festival of Lucca, Italy. He has also worked as pianist/coach at the Steans Institute for Young Artists, Chicago; Michigan Opera Theatre, Detroit; Teatro municipal, Santiago, Chile; Israel Vocal Arts Institute, Tel Aviv; Santa Fe Opera; Mozart Opera Studies Institute, Austria; Bay View Music Festival, Michigan; Bel Canto Northwest Vocal Institute, Portland, Oregon; and at various other programs, including the International Institute for Chamber Music, held in Munich, Germany, where, as a faculty member, he performed for five summers as master class pianist for Elly Ameling, Walter Berry, Thomas Grubb, and Jörg Demus. He has served as a guest coach at numerous schools and festivals around the world, such as the Eastman School of Music; Oberlin Conservatory; University of North Texas; Opera Nuova, Canada; Academy of Vocal Arts, Philadelphia; Cherubini Conservatory, Florence; Conservatory of Music, Prague, Czech Republic; Music Academy, Bratislava, Slovakia; Lawrence Conservatory, Wisconsin; Shenandoah Conservatory, Virginia; University of Cape Town/Cape Town Opera, South Africa; Notre Dame University; and many others. For his book Singing in Czech, published in 2001, the journal Notes proclaimed: “Cheek sets a new and very welcome high standard for teaching lyric diction.” This standard continues with his educational DVD on Italian lyric diction, available in 2020. Utilizing computer animation, video, audio recordings of renowned Italian baritone Alessandro Corbelli, and interviews with other Italian diction specialists Nico Castel, Donna Brunsma, Anna Toccafondi, David Adams, and Gildo di Nunzio, the DVD promises to supplement traditional approaches to learning Italian diction with a dynamic approach that the rhythmic, physical language of Italian calls for. Cheek is also the series editor for Rowman & Littlefield’s series of diction books on Greek, Polish, Brazilian Portuguese, and various other languages by a variety of authors. Cheek holds a doctorate in collaborative piano and chamber music from SMTD, where he studied with Martin Katz. He also holds degrees in piano performance from the Oberlin Conservatory of Music and from the University of Texas at Austin, where he studied with Gregory Allen. Cheek was the recipient of a Fulbright Award in 1990-91, studying as an opera coach apprentice at the Teatro Comunale in Florence, Italy under conductors Bruno Bartoletti, Gianandrea Gavazzeni, and Zubin Mehta. Dr. Cheek has an affinity for Czech vocal music, founded on an internship at the National Theatre in Prague under the great Janáček conductor Bohumil Gregor. Cheek’s books, including Singing in Czech: A Guide to Czech Lyric Diction and Vocal Repertoire, with a foreword by Sir Charles Mackerras; a series on Janáček’s opera libretti; a book on Smetana’s The Bartered Bride; and a book on Dvořák’s Rusalka, are recognized internationally as authoritative resources for singing in Czech, and have been utilized and praised by singers, conductors, coaches, and opera houses around the world. Cheek’s championing of the works of Czech female composer Vítězslava Kaprálová (1915–40) led to his performing several world premieres of her songs; to his recording of the complete songs of Kaprálová with celebrated Czech soprano Dana Burešová on Supraphon records, nominated for the best recording of 2003 by the Czech journal Harmonie, and acclaimed by numerous critics in journals such as Fanfare and BBC Music Magazine; to lecture/performances on the composer around the USA and in Europe; to a critical edition of the songs of Kaprálová edited by Cheek for the Czech publisher Amos Editio in 2006; to organizing the most comprehensive festival of Kaprálová’s music in celebration of the centenary of the composer’s birth, in 2015, at the University of Michigan; and to an edition of the orchestral song Smutný večer/Sad Eveningwith Czech Radio publications, Prague, in 2016, that includes his orchestration of the final fourteen measures of missing orchestration. Cheek has served as the official pianist for the USA rounds of the American International Czech & Slovak Voice Competition since 2003. In 2010, famed Czech composer Sylvie Bodorová composed her song cycle Jabloňový vlak [Apple train] for Cheek, soprano Laurie Lashbrook, and dancer Bohuslava Jelínková. The performers premiered the work in Sydney, Australia the same year. In 2012, Cheek performed works by Dvořák, Kaprálová, and Hoiby with bass-baritone Stephen Morscheck at the historic Rudolfinum, Prague, for an audience that included former Secretary of State Madeleine Albright, as part of celebrations between the USA and the Czech Republic of the presentation of the Masaryk-Wilson Award for Democracy and Freedom, and the rededication of a statue of Woodrow Wilson that had been destroyed by the Nazis. Cheek’s playing of Dvořák with the acclaimed men’s chorus Cantus was released in 2013 on their CD Song of a Czech, praised by Harmoniemagazine, Czech Republic. In 2014, Cheek served on the jury of the 49th International Antonín Dvořák Singing Competition in Karlovy Vary, Czech Republic, the oldest continuous voice competition in the world. In 2015, Cheek served as pianist and coach for the South American premiere of Rusalka, at the Teatro Municipal, Santiago, Chile.